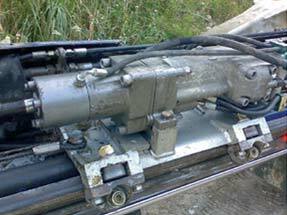 Doofor DF500S is a high-frequency hydraulic rock drill for bolting, general excavations, and tunneling. 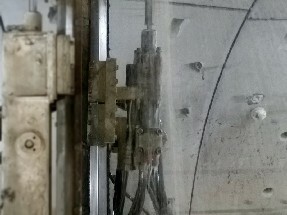 The rock drill is equipped with a separated side flushing box. Flushing can be done with water or with air. Optimal maximum hole diameter for the DF500S is 45mm in hard rock. 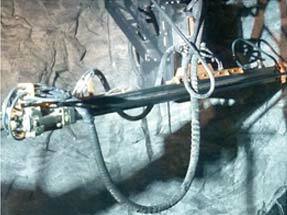 The rock drill is equipped with R28 or R32 male shank adapter (striker bar). Flushing air pressure 12 bar max. *) Numbers given are for standard rotation motor (32cm³) at an intermittent pressure of 140bar [2031psi]. Motor options are 12.5cm³, 20 cm³, 32cm³, 40cm³ and 50cm³.